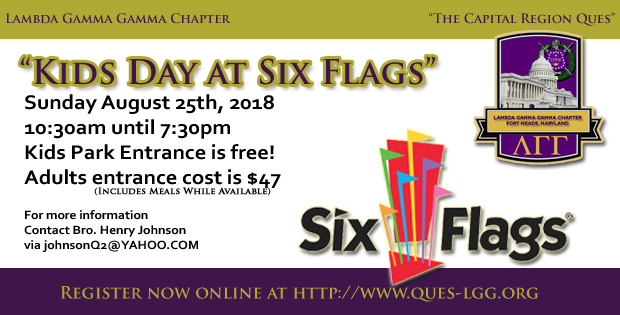 The Lambda Gamma Gamma Chapter of Omega Psi Phi Fraternity, Inc. family, friends, and neighborhood young people will be spending a fun filled day at Six Flags America on Saturday August 25th, 2018. This event includes a lunch and refreshments and is FREE for children. The cost for adults is only $47.00 (NOTE: This cost will get you an admission ticket to the park, a meal, and access to the pavilion area.). We will have food, fun, music, and games for all. We will also be hosting a backpack giveaway filled with school supplies! For more information or to have children added to the registration list. please call Bro. 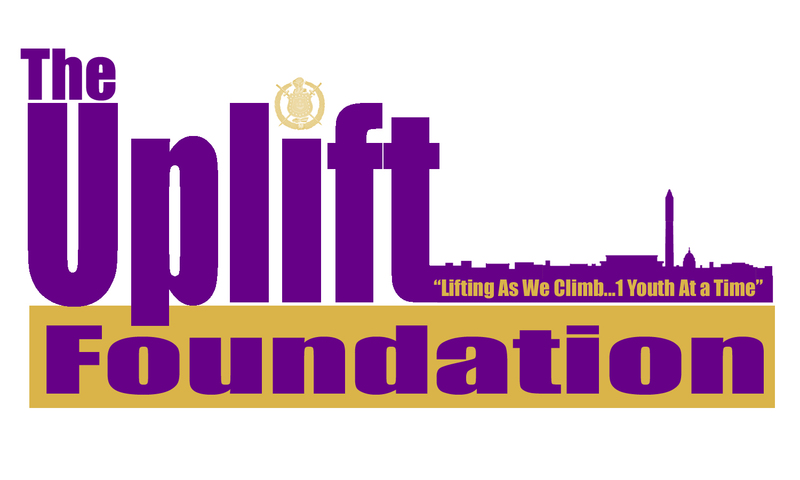 Henry Johnson at 678-480-1140; email johnsonq2@yahoo.com, Bro.Cedric Guyton 928-386-1688; email giz391@gmail.com or Bro. Tommie Bennett at 703-409-2343; email TlBennett@yahoo.com.